Pixel Kicks are situated in Ancoats, the trendy district located next to the Northern Quarter, on Manchester’s inner ring road, Gt Ancoats Street. According to Travel Supermarket, Ancoats has been named the hippest area in the UK to hang out in – and third best in Europe! 0.7 miles. Approx 10-15 minute walk. On foot, leave Piccadilly and head towards Piccadilly Gardens. Take a right up Newton Street until it meets the main inner ring road of Great Ancoats Street. Take a left here, cross the road, and look out for Virginia House. From Altrincham & South Manchester: 0.4 miles. Approx 5-8 minute walk. Take the Metrolink to either Piccadilly Gardens or Market Street. Walk through the Northern Quarter up Oldham Street or Tib Street until you reach Great Ancoats street. Cross the road and look our for Virginia House. From Oldham & North Manchester: 0.3 miles. Approx 5-7 minute walk. The the Metrolink to Shudehill. Walk up Shudehill/Rochdale Road until you reach Great Ancoats Street. Take a right and walk down the road until you find Virginia House. 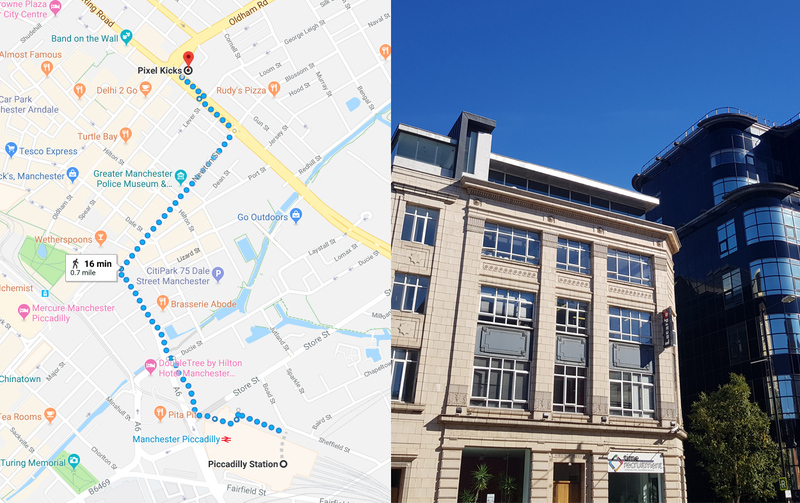 Depending on which direction you’re coming on, it is best to head to Piccadilly Gardens and then walk straight through the Northern Quarter up Oldham Street. Cross the main road at the top and we’re on the other side. Just don’t be tempted by any of those trendy bars on the way back!